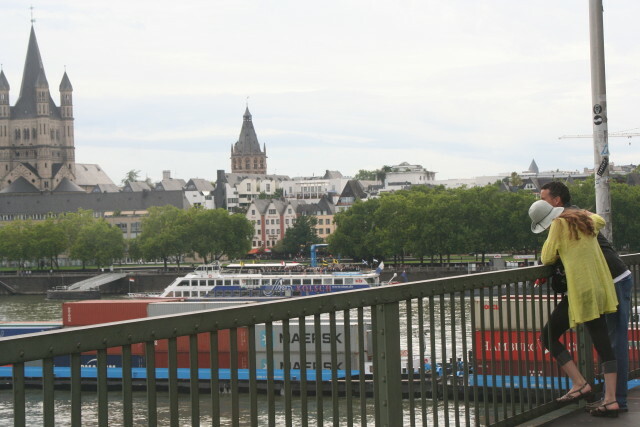 This bridge is over the River Rhine in Cologne Germany, leading to the High Cathedral of St. Peter. 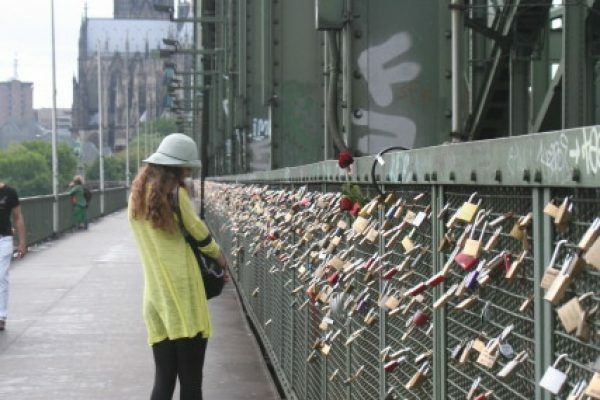 This is Germany’s most visited landmark attracting an average of 20,000 people a day. 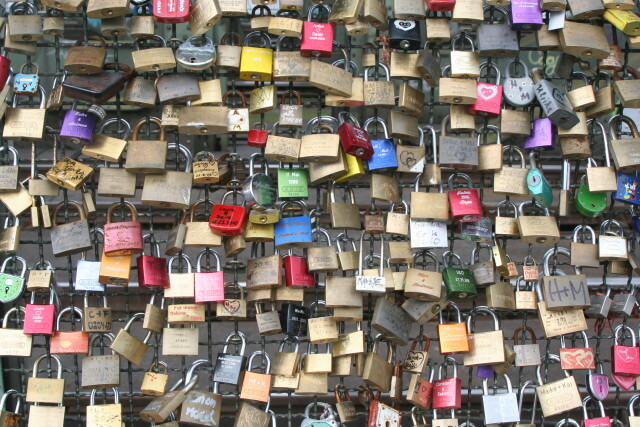 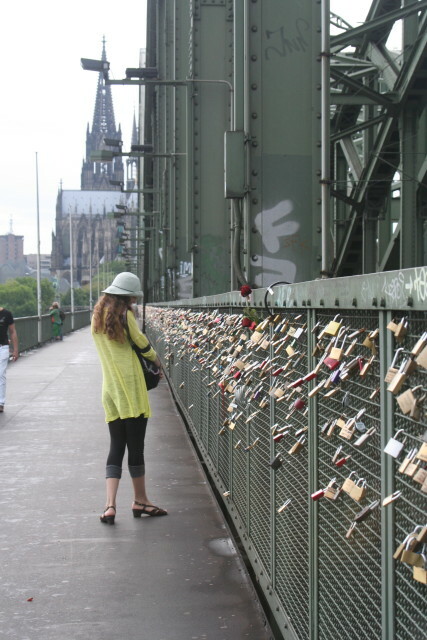 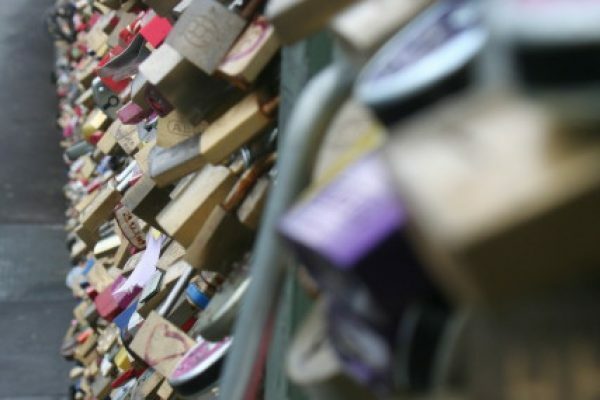 Locks of love cover the Hohenzollern Bridge. 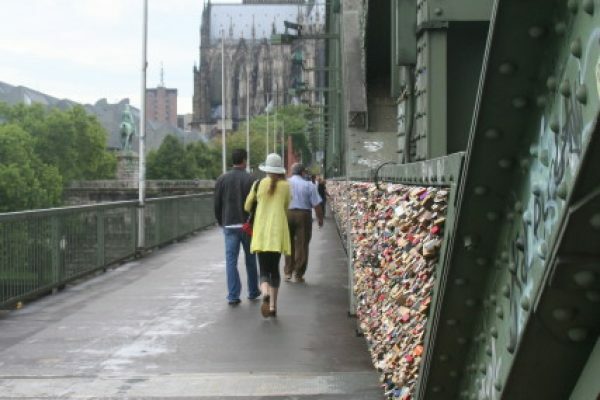 Couple’s immortalize their affection by attaching locks with their initials or a message etched in the metal. 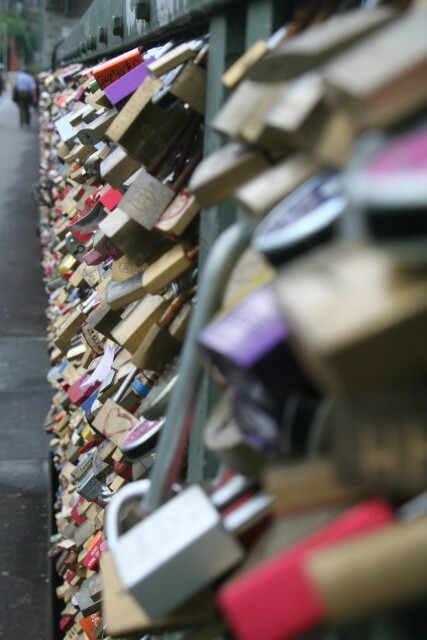 If I lived there, I would set up a booth and sell locks!!!!! 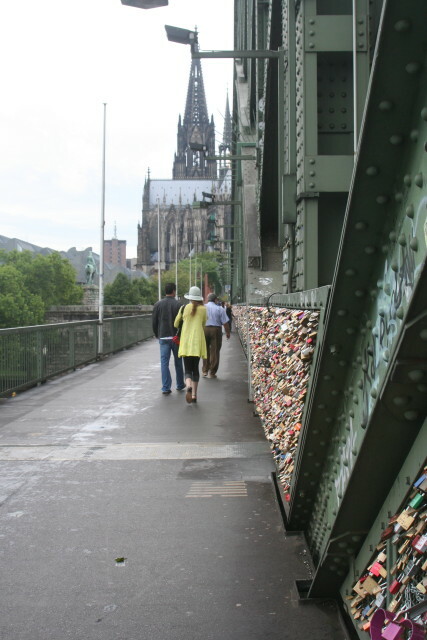 We did not have one with us – so Jeff and I need to go back! 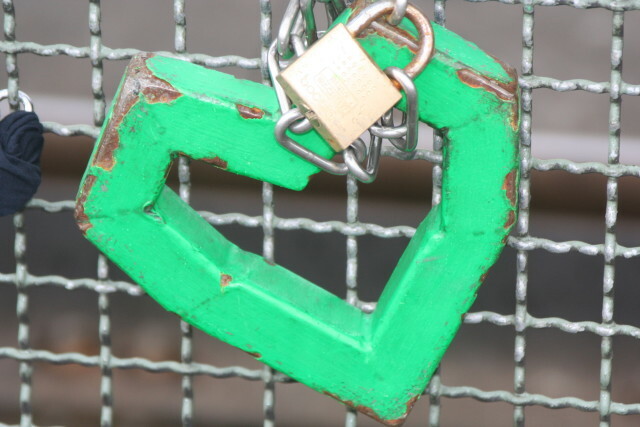 Someone is missing a real entrepreneurial opportunity.